There’s a war out there, old friend. A world war. And it’s not about who’s got the most bullets. It’s about who controls the information. 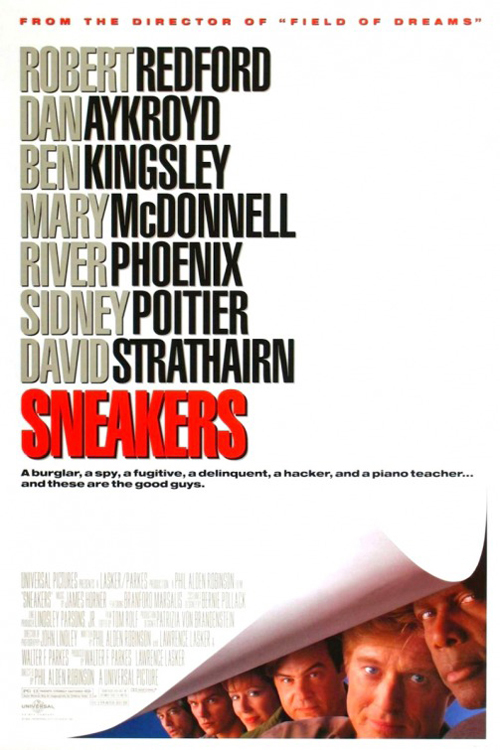 (SPOILERS) I hadn’t seen Sneakers since its original cinema release, when I pegged it as a likeable but ultimately rather too amiable conspiracy yarn. 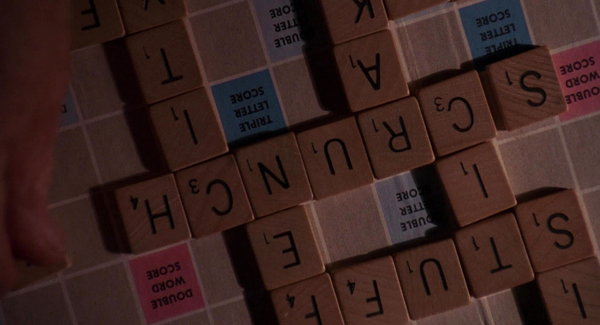 I mean to say, conspiracy yarns can be a lot of things – straight thrillers, satires, outright comedies – but you don’t usually associate them with amiability. After reading a recent Birth Movies Death piece singing its praises, I thought it might be time to give the picture another look, to see if I’d confess to a glowing reappraisal. Unfortunately, no. It’s the same rather amiable, well-made-but-slight piece. 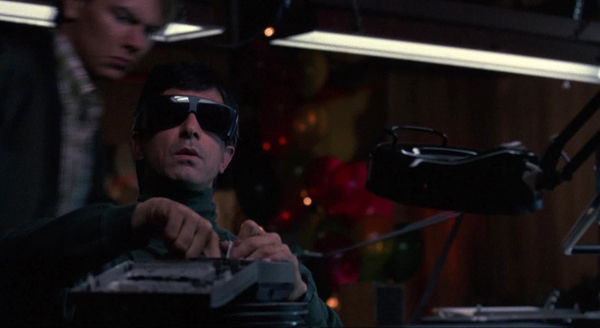 Director Phil Alden Robinson was coming off the high of surprise sleeper hit Field of Dreams, and his co-writers Lawrence Lasker and Walter F Parkes had WarGames on their résumés, so you wouldn’t be misplaced to expect good things here. But the screenplay, concerning a group of A-Team/Mission: Impossible security experts paid to break into corporations to test their systems, who are set on the trail of a super-powerful piece of hardware (a black box that can instantly hack any computer system), never manages to step up the tension, paranoia or sense of urgency sufficiently; it’s certainly in no danger of troubling lead Robert Redford’s greatest hits in the genre (Three Days of the Condor, All the President’s Men). 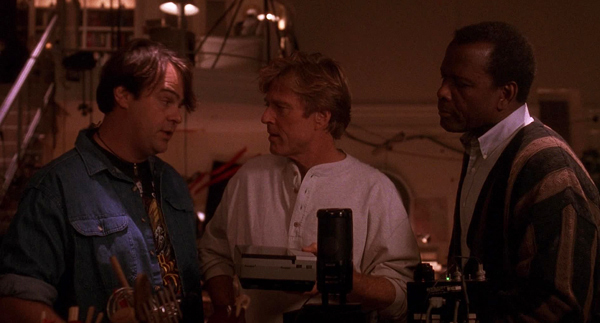 There are incidents where the pace accelerates, but for much of the time Sneakers is closer to a “caper”, a difficult sub-genre, the likes of which have more recently been explored to mixed results (The Brothers Bloom, Ocean’s 12, Duplicity). 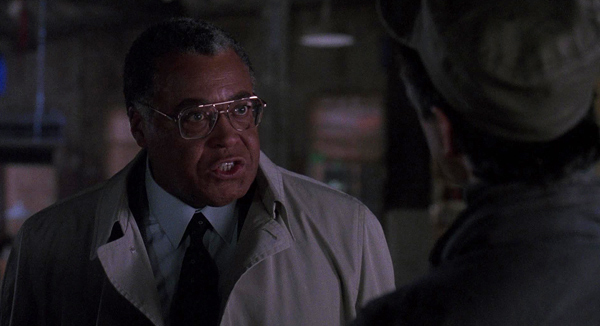 Marty Bishop: I went out for pizza. Then I went to Canada. I was lucky. He wasn’t. 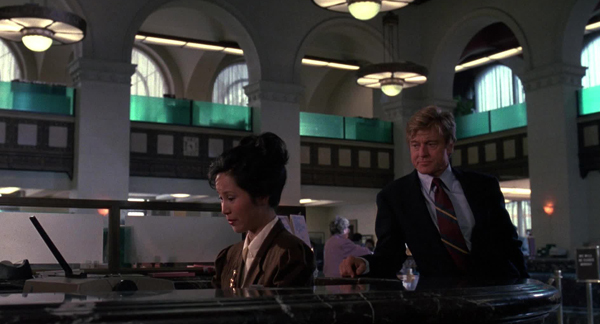 When Marty Bishop (Redford) picks up his fee for a recent job, he explains his profession and adds “It’s a living”. “Not a very good one” replies the teller, as if she has anything to be proud of. 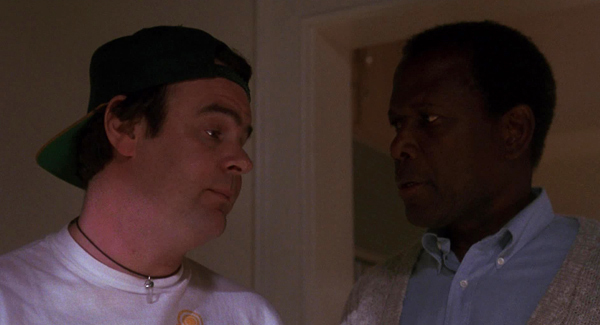 For all that the movie offers some sharp lines (most of them courtesy of Dan Aykroyd’s conspiracy-geek Mother) it also nurses sloppy ones of that ilk. The exchange is designed to indicate that Marty’s ideals have been sacrificed, but the superfluous context kills it. Marty, you see, still harbours guilt over the arrest and imprisonment of his friend Cosmo, back in the ‘60s, when both were budding counter-culture reactionaries, hacking in aid of the revolution. Cosmo: Power to the people, Marty. But the ‘60s ideal here is rigorously counter culture-lite, in a Big Chill way that makes it all too easy to be at peace with forsaking the opportunities the era held to change the world, most redolently in identifying the Republicans as the bad guys rather than the system as a whole, irrespective of nominal party lines (Marty and Cosmo hijack Republican funds, making a donation to the Black Panthers, while Nixon’s personal checking account is used to fund the National Association to Legalise Marijuana). 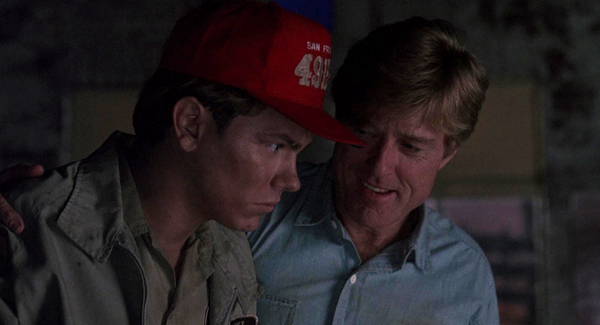 The picture’s final scene has a news report announcing the Republican National Committee’s bankruptcy, suggesting Marty has returned to his youthful instincts, but in a watered-down movie, it’s a watered-down coda. 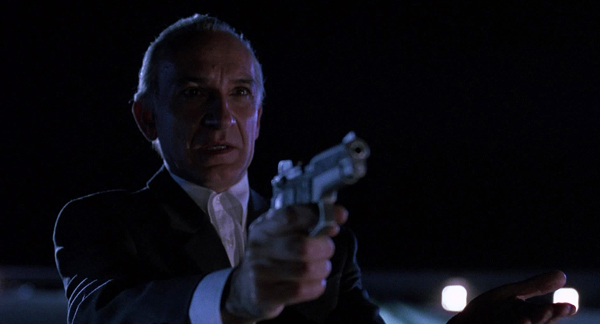 As he says to Cosmo (Ben Kingsley), “It wasn’t a journey, Cos. It was a prank”, and we’re not sure he doesn’t mean it. 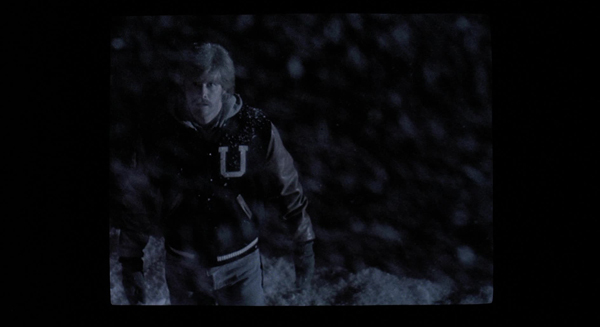 The most notable part of the 1969 introductory scene is actually that Mike from Twin Peaks (Gary Hershberger) is playing the young Marty. Cosmo: The world isn’t run by weapons any more, or energy or money. It’s run by little ones and zeroes, by data. It’s all just electrons… There’s a war out there, old friend. A world war. And it’s not about who’s got the most bullets. It’s about who controls the information What we see and hear. How we work and what we think. It’s all about the information! Sneakers provides fairly prescient warnings of the way things are (or should that be that we’ve caught up with becoming aware of the way things were, have been and will continue to be?) While the picture is frequently far too rotund and pleased with itself for its own good, it gets a rod up the backside whenever Kingsley assumes centre stage, and his sermon on the way the world works, on how data is king and information is everything, is particularly on point. But do we only think that’s a current development because we’re being told to think it is, by the same manipulators of news who were happy to let things fly when they had total control of the ways and means by which we received information? It’s only when those channels are disrupted that it becomes necessary to intervene and announce redirections in respect of the dangers of “fake news”. Cosmo: The world changed on us, Marty. Without our help… When I was in prison, I learnt that everything in this world, including money, operates not on reality, but on the perception of reality. The perception of reality is the key: if enough people can be convinced something is the case, it doesn’t matter whether or not it is the case. A common means of getting, for example, a handy war up and running. A counter ploy, such as now, would be to confuse people over the actual version of events to such an extent they become inured to the news itself. How can you trust any of it? Cosmo: I might even be able to crash the whole damn system. Destroy all records ownership. Think of it, Marty: no more rich people, no more poor people, everybody the same. Isn’t that what we said we always wanted? Marty: Cos, you haven’t gone crazy on me, have you? After all, only a crazy person would want to bring capitalism to its knees, wouldn’t they? And only an ex-radical would be invested ensuring this didn’t happen, while consoling himself that he is just radical enough to vote Democrat. His colleagues, meanwhile, are naturally children of the dollar (“I’m in it for the money. I don’t care if I go to jail”). Marty: The only thing it would be really good for, is spying on Americans. The movie almost has an ace up its sleeve when it arrives at the conclusion that the NSA wants the box to eavesdrop on its own population, since the Russians have different codes (the picture, post-Glasnost, is at pains to point out the thawing of superpower relationships and how it’s a whole new world as a result, such that the Russian can’t be trusted not to go to FBI with information; thank goodness there isn’t that problem now). Yes, Sneakers nurses the notion that East v West isn’t all a great charade, and also limits its foresight to merely the surveillance of competing agencies (the CIA, FBI) and the Whitehouse, the potential for spying on every single American being but a mere twinkle in the Internet’s eye at the time. Whistler: I want peace on Earth and goodwill to all men. Bernard Abbott: We are the United States government! We don’t do that sort of thing. But this is a picture with a nice NSA, headed up by nice Mr Earl Jones indulging the team’s list of demands (“Tahiti is not in Europe”), where a cute NSA chick is instantly enough to overcome one’s resistance to the corrupt system (provided River Phoenix’s Carl gets her phone number), where the ex-CIA guy (Sidney Poitier’s Donald Crease) didn’t leave the agency out of disillusionment but over issues with his temper. The corrupt, devious NSA of the opening acts is a deception, and so Marty’s slur on them (“You know, I could have joined the NSA. Then they found my parents were married”) is revealed as unwarranted. 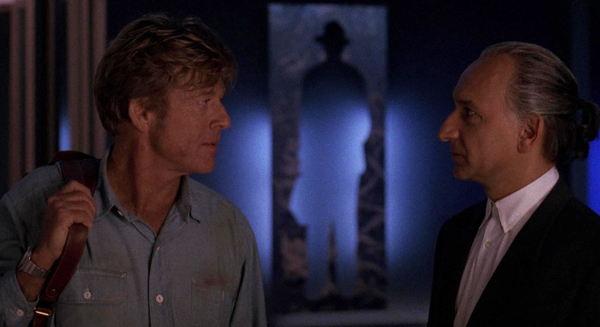 Marty: So what’s the codebreaker? Whistler: No, it’s THE codebreaker. The picture ambles along, giving the impression that it’s smart, but not that smart, offering rudimentary ploys (Setec Astronomy anagram revealing an anagram of “Too many secrets”, Marty amazingly being able to recall distinct sounds on his journey in the boot of a car, such that David Strathairn’s Whistler can get a fix on where he was taken). However, it does occasionally come together nicely. 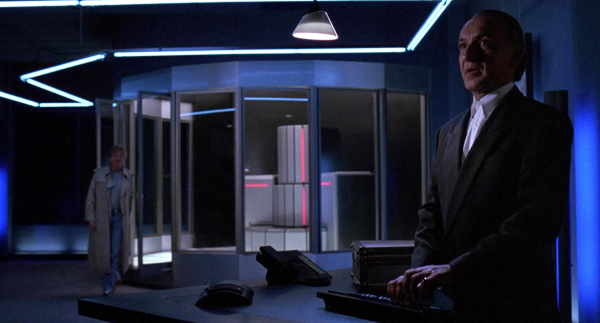 The scene of activating the black box can in no way equal the dark thrill of Matthew Broderick initiating the countdown to thermo-nuclear war in WarGames, but it is nevertheless effectively realised (“Anybody want to shut down the Federal Reserve?”, asks Whistler, of the National Power Grid, “Anybody want to blackout New England?”, and then the air traffic control system). As MacGuffins go, it’s pretty much the dream ticket (“There isn’t a government on this planet that wouldn’t kill us all for that thing”), but Robinson fails to milk it for maximum suspense, which is a pity. 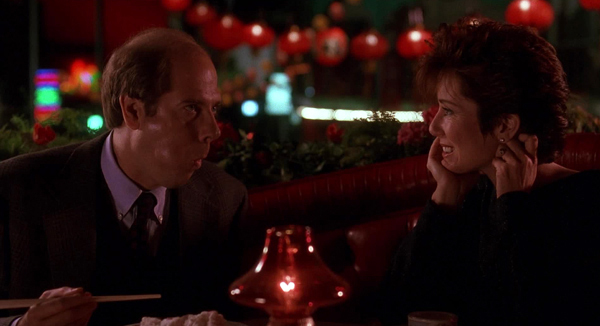 And the sequence in which Liz must go on a date with Werner Brandes (a masterfully improvising Stephen Tobolowsky: “Shall I phone you, or nudge you?” he asks of the prospect of a second date, and later, cooking at his flat, “I’ll be with you, just as soon as I’m finished pounding these breasts”) is a structurally pleasing marriage of comedy and tension as she attempts to record Werner saying the various necessary words to activate his voice recognition codes and key card (in order to break into Cosmo’s offices). Later, there’s a crowd-pleasing scene in which blind Whistler comes to the rescue, driving a van via Marty’s directions like a less fatuous version of See No Evil Hear No Evil. Marty: Where did you get 50 bucks? Carl: I took it from Mother’s wallet. 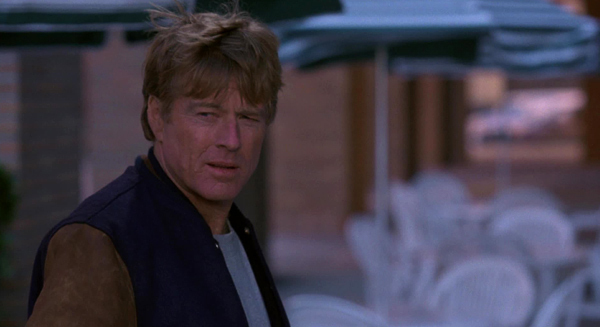 The ensemble work well together, with Phoenix picking up a stress-free cheque in his pre-penultimate (completed) movie and Redford resting confidently on his easy charm (he’s been working a lot as an actor recently, but at the time he was making few movies, and his star appeared to be on the decline, as Havana had evidenced). Mother: But the key meeting took place in July 1958 when the air force brought a space visitor to the White House for an interview with President Eisenhower. And he said, hey, look, give us your technology, we’ll give you all the cow lips you want. Donald: Honey, don’t listen to this man, He’s certifiable. Mother: Your husband knows about cattle mutilations. He’s ex-CIA. 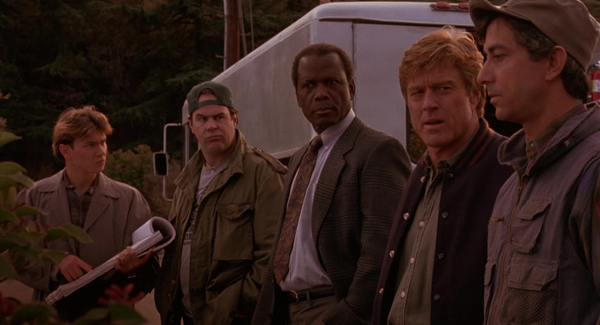 Apparently, NBC is developing TV series based on Sneakers. Which might be a good idea, if it tries to be nothing like the movie. On the other hand, it might find itself struggling to be relevant unless its willing to fly ahead of the curve (and for NBC, that’s unlikely). The film certainly has that winning “all about family” thing going for it (“I have a new group of gifted children now, and I like the fact that they’re under 30” says Liz to Marty at one point). Sneakers’ problem is that it’s too damned relaxed, to damn comfy with itself. A G-rated movie with swearing added to make it not seem like a kid’s picture. Which says it all. It’s too nice.